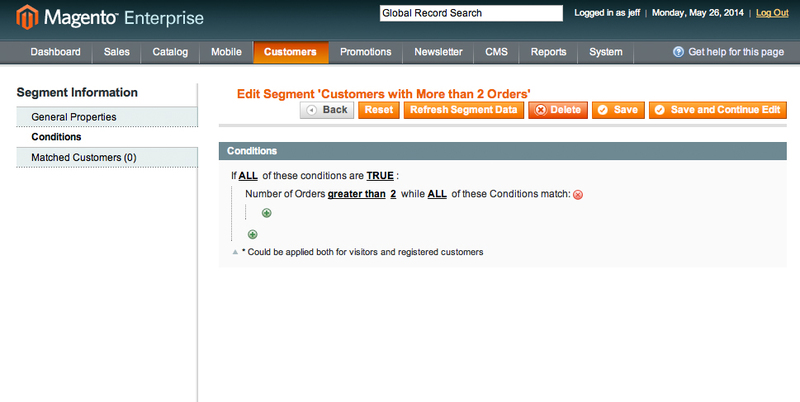 One of the big themes from the Magento Imagine show was personalization. (And beyond just mail-merging in your name). The idea is to personalize a site, based on information you have from a user, so that their user experience is not like everyone else’s. 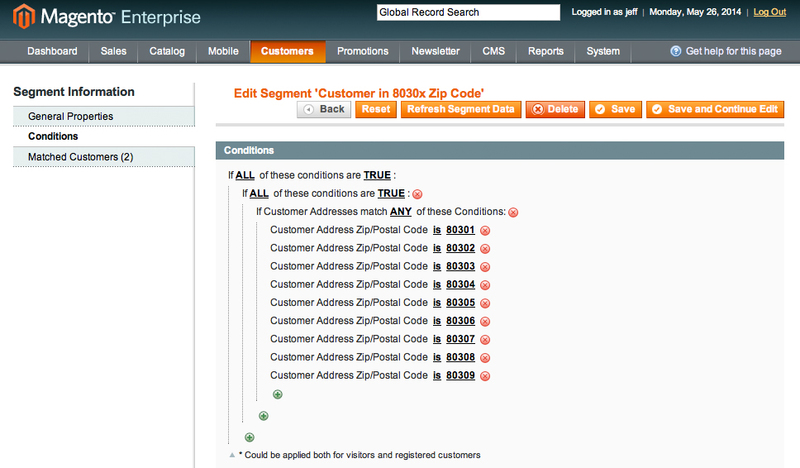 What happens if you personalize a site, and it annoys end users? 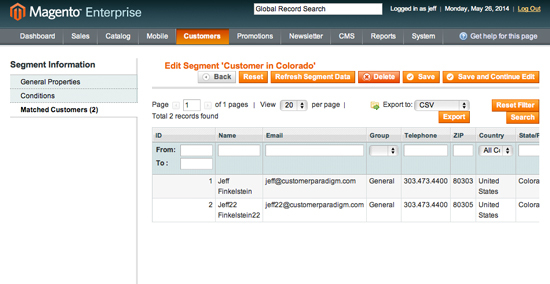 I’ve been passionate about personalization. In 2000, I attended a conference in New York called "The Personalization Summit." Industry guru Seth Godin was a keynote speaker. 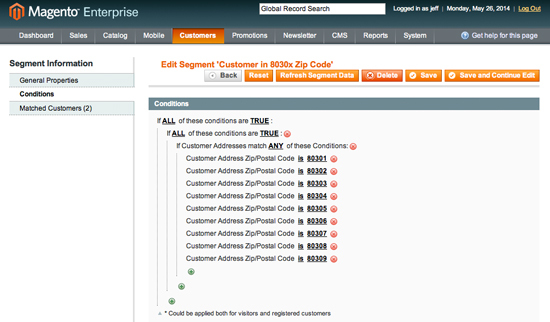 Fourteen years later, very few sites are actually doing much in the way of personalization. I do see this changing, but slowwwly…. 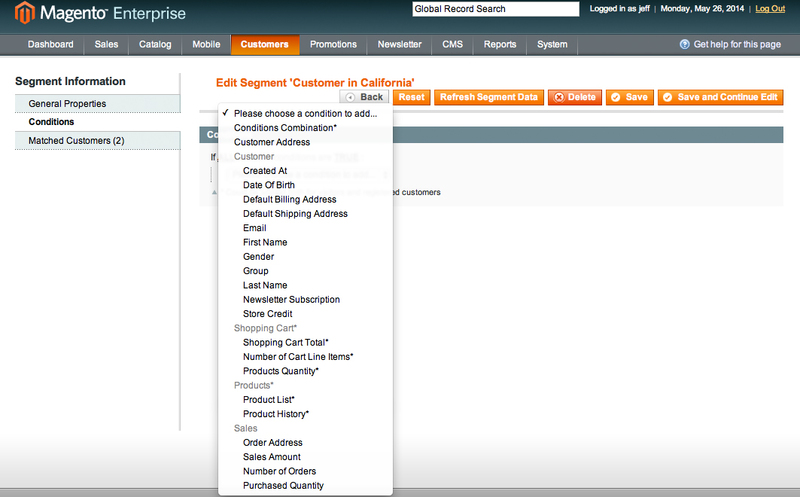 Magento Enterprise – Customer Segmentation. 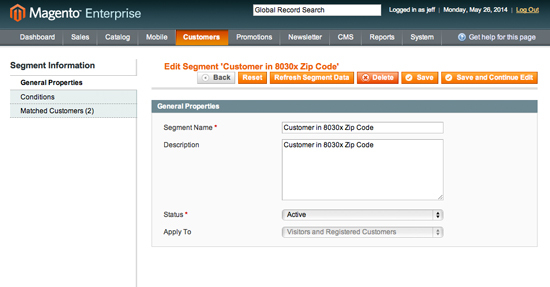 Built into the Magento Enterprise code base is a Customer Segmentation system, that allows you to personalize a site experience based on customer attributes. Let’s say you want to personalize the visitor’s site experience, based on a zip code range in their billing or shipping address. In this case, you can set up these conditions, and then offer free courier shipping (for example) via bicycle messenger for anyone that matches. 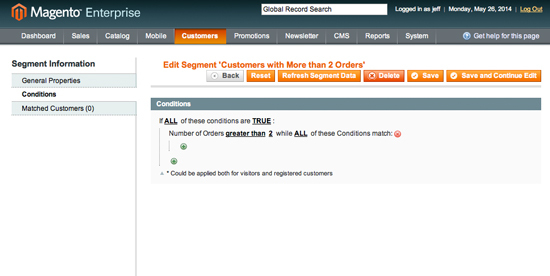 In this test case, there are two customers (both me) that match. If a customer has a grand total of more than $500 in their cart. … then perhaps you want to give the customer a special thank you. Or give them expedited shipping for free. Or throw in a special gift. 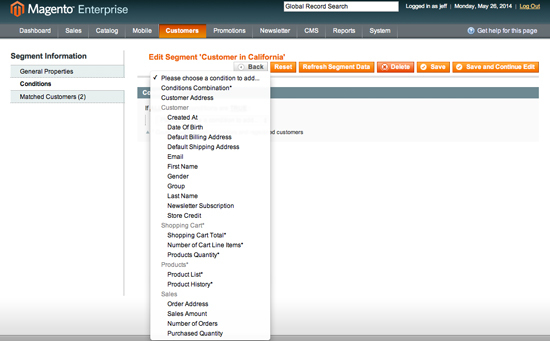 Next week, I’ll talk about how to actually use these customer segments with the Magento Enterprise system to actually personalize the site.